I spent all afternoon yesterday fishing in the W700 while my wife Diane fished from the W500. The W700 sits flat as a table while fishing, and it moves smoothly through the water when paddling. Both boats fit nicely inside my van. 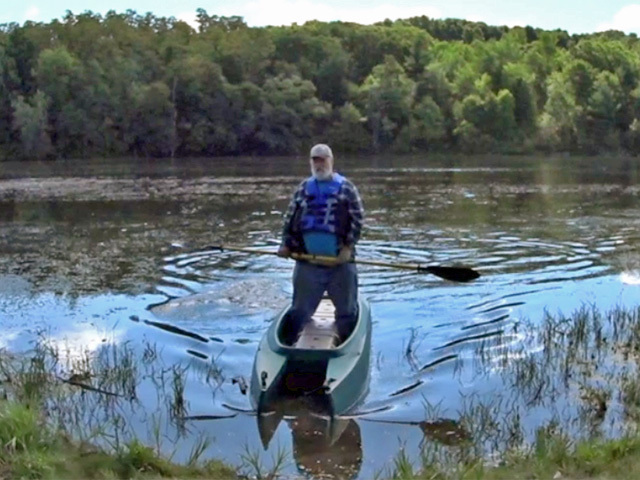 When I paddle the W700 it is quiet and it glides. It carves nicely like a canoe when leaned over. 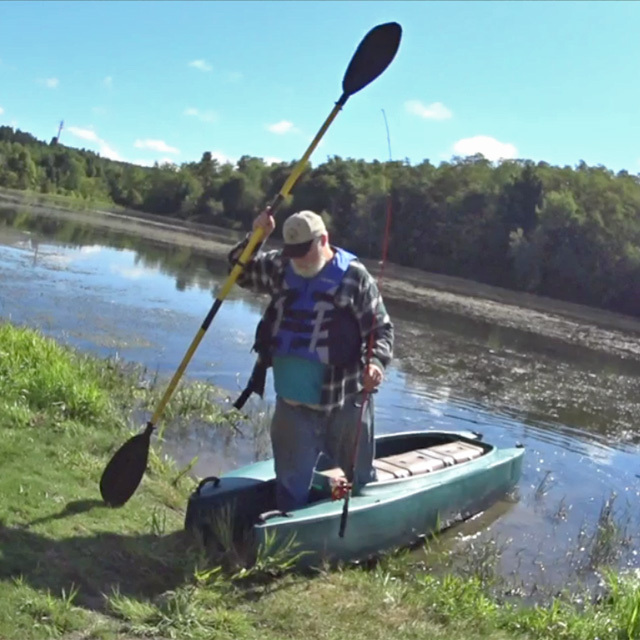 I can paddle down narrow meandering channels easily leaning the boat to carve turns. This method helps compensate for the great straight line tracking of the boat. Diane had the 500 and I had the 700. Both of us paddled hard for shore and it turned out that the boats are evenly matched in terms of speed with their loads of 118 and 300 lbs… I could not catch her and she could not pull away from me. Thank you Ernie and Diane! Thank you for posting the video and review. When I read your testimony and saw how effortlessly you launched, paddled, and landed the W700 without getting wet I went from “seriously considering” to “Hey Steve, order me one in Sunshine, please”. Indeed, Steve ordered from us a Sunshine W700 for you, with a 9ft paddle. Congrats on your New W700 kayaks. Just shared this on face book and my fishing site. The yak for all sizes and ages. 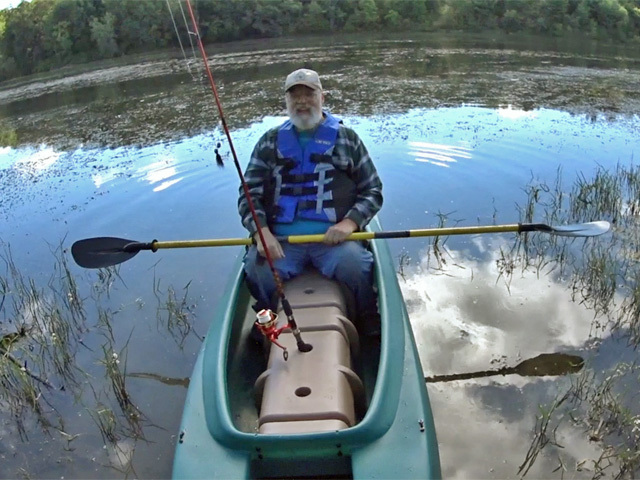 I suffer from many issues that kept me out of a kayak. Bad neck, Back and leg pain, do to degenerating discs, and Fibromyalgia. I can’t tell you how much money I spent on kayaks before I found the Wave Walk Yaks. From sit ins, sit on tops, they all gave me the same problem, bad back pain and leg pain, only able to paddle for a short time, and getting wet trying to get in or out. And I’m talking big name yaks……..
Then I stumbled on the Wave Walk yaks, W300 at the time. These yaks gave me my life back, just like taking the shore with you. If you were near me I’d let you test drive mine, I’m in Ct.
Hope this was helpful in at least getting you to try one.